Misc: 3 BR, 3 BA beachfront unit, sleeps 8. 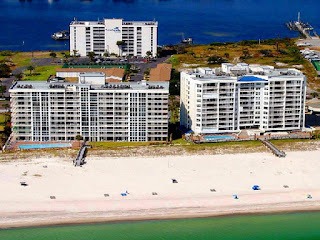 SeaSpray water-front vacation rentals in Perdido Key Florida, a coastal barrier island overlooking the white-sand beaches of the Gulf of Mexico – this condominium home has exceptional views of the white-sand beaches and emerald waters. The spacious living area includes a HDTV with a large dining area. The master bedroom has a king-size bed with access to the private gulf-front balcony, the master bath includes a separate tub and walk-in shower, plus a dressing area. The 2nd bedroom has queen-size bed with a private bathroom. The 3rd bedroom has twin beds. The large, fully equipped kitchen has stainless steel appliances, granite counter-tops and ample cabinets. Your will also enjoy many amenities including 3 outdoor pools, lighted tennis courts, boat-slips, a fitness facility and more. 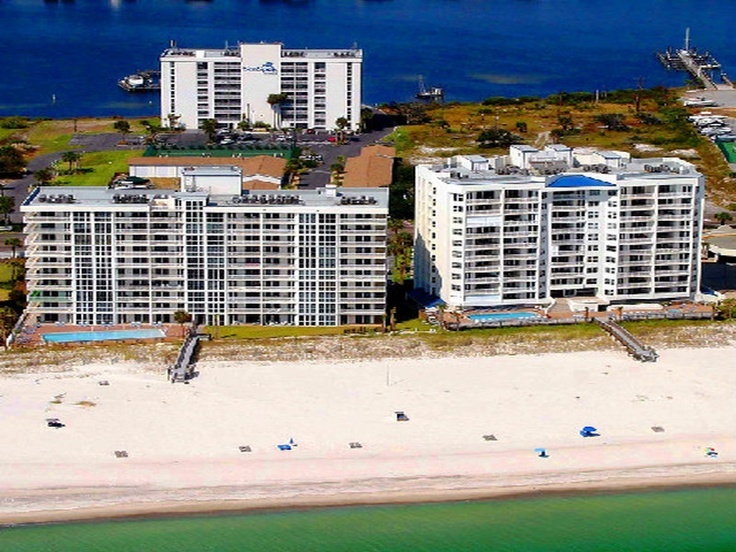 SeaSpray condominiums in Perdido Key are located on 300′ of beachfront property overlooking the emerald waters of the Gulf of Mexico and popular white-sand beaches. This family oriented condominium has a zero-entry pool plus 2 other pools including one on the riverside. This resort property also features, tennis courts, a boat launch with docking facilities, an outdoor hot tub and much more. Perdido Key Florida has warm, subtropical weather, with an average temperature of 75 degrees and 343 days of sunshine, is an unincorporated community in Escambia County Florida located between Pensacola, Florida and Orange Beach, Alabama – no more than a few hundred yards wide in most places, Perdido Key stretches some 16 miles (26 km) from near Pensacola to Perdido Pass Bridge in Orange Beach. To the south of Perdido Key is the Gulf of Mexico, with its white sand beaches and clear blue waters.